today. 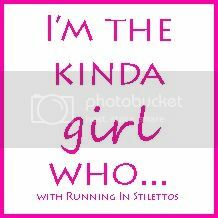 I typically write about running, and normal life happenings but today (a day late) I am linking up with Running in Stilettos! - Watches every crappy reality TV show made. (Yes I am addicted to all shows Kardashian) I may have also watched some Honey Boo Boo for the sake of laughing. - Also looks forward to my US weekly magazine every Saturday afternoon. - Takes a bath every day, its my "me" time and helps me zone out. -Refuses to use hair conditioner even though my hair is ratty because I hate how it feels greasy. - Can never get on a sleep schedule, hello up all night and sleeping in as often as possible. - Is still a diehard Justin Timberlake fan even though its not the 90s anymore. - Sings out loud all the time, everywhere unless there is someone around. I lipsync when I run. - Has crazy baby fever. I love love love babies. - Takes terrible care of cleaning out my car. It has been on my to-do list for MONTHS and I am just too lazy so I push it off. - Still watches Friends re-runs pretty much nightly. BEST SHOW EVER. - Loves themes/holidays, though I usually don't do anything for a lot of them I still think they are fun. Just a few random fun facts about me, a good break from the normal routine posts. I will be back tomorrow with an update about my new training program. 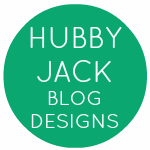 I have GOT to get better at taking pictures for this blog, I am the worst and always forget! Have a great Wednesday! Friends re-runs are the best. even if i know what will be said before they say it bc i have seen the episodes so many times! cleaning out the car is overrated. it makes my husband so mad especially now that we are car shopping for me. mine is a disaster! I love this post because it really gives us a better feel for who you are. I can relate to so many of the things you've listed even though we're separated by just a little more than a few years. lol. I'm the same way with my sleep schedule. It's pretty "normal" most of the time on the weeks, but I let it get all out of whack on the weekends because I don't have to wake up at a certain time. It's just too tempting to stay up late doing some of the stuff we want to do, isn't it?